John Hildebrand reports in Newsday that in New York, districts that have a high opt-out rate on state assessments “could be required to use part of their federal aid to get more students to take the mandated exams under regulations tentatively approved” on June 11. According to the Daily Gazette, schools in New York will “learn in the fall whether they have been identified for extra measures of support and monitoring under” the state’s ESSA plan, which was recently approved by the U.S. Department of Education. 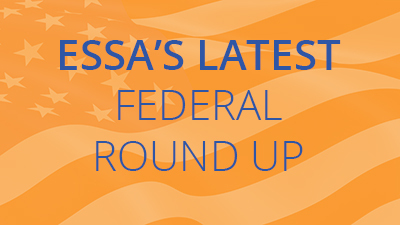 The New York State Education Department has released three ESSA waiver requests, which are now open for public comment through September 8. The text of each of the state’s proposed waivers is posted on the department’s ESSA webpage. New York submitted its final draft ESSA plan to governor for review. The New York Dept. of Education released an updated version of the state’s draft ESSA plan. It is now with Governor Andrew Cuomo, who has 30 days to review the plan. New York unveiled its draft ESSA plan. Public comments on the draft plan are being accepted through June 16. The Sullivan Boards of Cooperative Educational Services (BOCES) Region will host a public hearing on ESSA with the New York State Department of Education on March 9. Community members are invited to the forum to give feedback on the state’s implementation plan. The Board of Cooperative Educational Services will host a forum to discuss accountability provisions under ESSA. Feedback from the event will be used by the New York Dept. of Education and the Board of Regents to draft the state’s plan. The New York Department of Education presented a draft list of 20 guiding principles for their new evaluation of schools under ESSA to the NYS Board of Regents. The New York State School Board Association and National School Boards Association will hold a webinar on July 29th to discuss the implementation and the regulatory process for ESSA. State Dept. of Education will be launching a new think tank to come up with a statewide school accountability plan, in accordance with the Every Student Succeeds Act. Read more here.